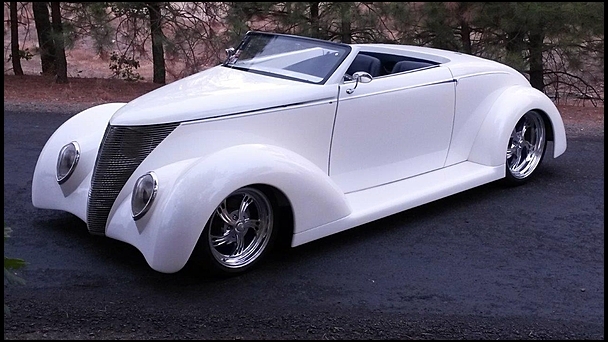 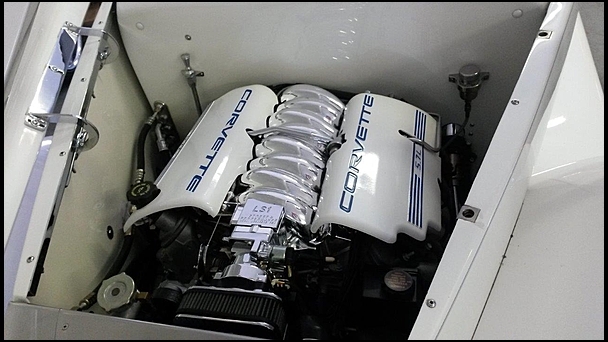 This elegant white beauty has a big fat american heart under the hood – Corvette’s LS1. 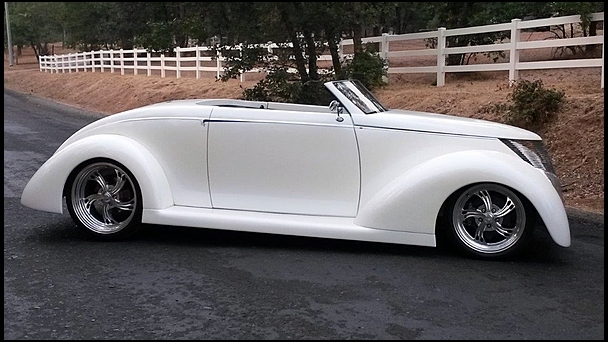 4L60E transmission, aluminized exhaust, Billet Specialties wheels and steering wheel many more features and “signed by George Barris”. 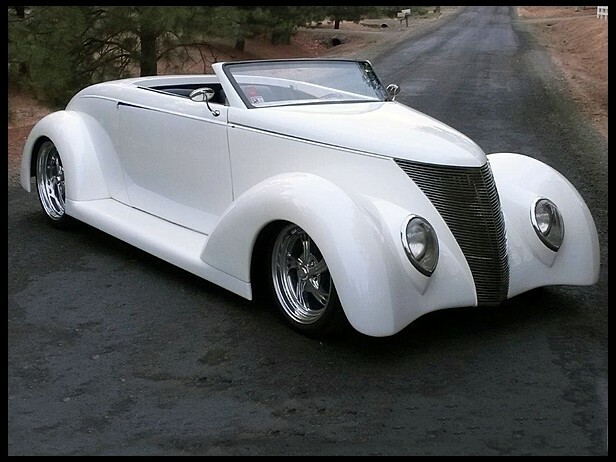 Sold at mecum.com auctions.